It didn’t begin the way Switzerland was hoping for, as Andrey Golubev and the visiting team Kazakhstan claimed the first rubber in Friday’s Davis Cup action, with Stan Wawrinka struggling throughout, losing in four sets, 7-6 (5) 2-6 6-3 7-6 (5). The 2014 Australian Open champion wasn’t able to raise his level, especially in the fourth set tiebreak. With Kazakhstan taking a 1-0 lead, Roger Federer faced Mikhail Kukushkin, having no similar trouble. 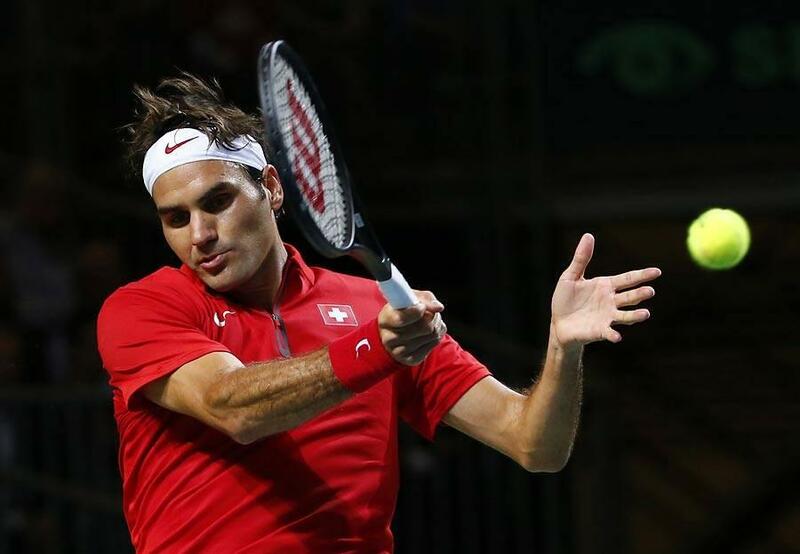 The 17-time grand slam champion steadied the Davis Cup tie with a 6-4 6-4 6-2 victory, evening the overall result to 1-1. The stage is set for a pivotal doubles match Saturday, where Federer/Wawrinka look to reverse an odd three match losing streak in Davis Cup.